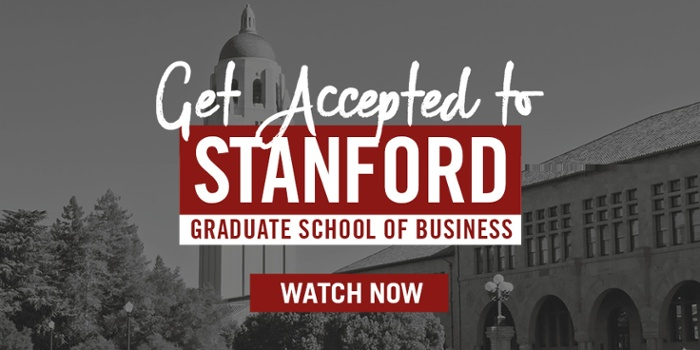 Accepted: Last we spoke you were in the middle of your first year at Stanford GSB, and now you’ve just received your MBA — congrats! Can you bring us up to speed? How was your last year and a half? Tim: Sure, it is so scary to think that the last time we talked is already 1.5 years ago. As you said, I graduated about a month ago and was fortunate enough to have my parents and my sister from Germany with me. Right now I am in New York looking for an apartment and getting to know the city before I start my job at McKinsey in fall. I am also volunteering at a kids soccer camp in Manhattan three days a week and am thinking about writing a book. As you can see – I can’t just do nothing. Highlights from last year are moving off-campus into a house with classmates from Austria, Japan, Turkey, Brasil and Argentina and having amazing BBQ parties as well as developing really close friendships to some GSBers through 1:1s or runs along the Bay. On the academic side, developing the first ever GSB “Travel and Hospitality Industry” elective with a former co-worker of mine was amazing. We will teach the class again this fall. Accepted: Which clubs or activities were you involved with on campus? How central to student life is club involvement? Tim: Club involvement was crucial to my GSB experience – both from a professional perspective, but also as a way to get to know likeminded classmates. I was heavily involved in the “Travel & Hospitality Club” and the “Stanford Africa Business Forum.” The Travel Club gave me the opportunity to network with high-profile execs in the airline industry, who also come and speak at our travel class. At the GSB, it is not only what the school can give to you, but also what you can give back through your background. Aviation was a great example for that and I believe that we really strengthened the industry exposure of the school for years to come. Working on the “Africa Business Forum” was amazing, because I was the only non-African on the team and therefore learnt a lot about different cultural working styles. That team really came together strong at the end and we created an amazing conference. Accepted: Looking back, what would you say was the most challenging aspect of business school? How would you advise others who may be facing that challenge? Tim: Figuring out what you want to get out of school was most challenging. I remember double- or even triple-booking my lunch breaks for the first couple of weeks. Everything sounds interesting and you do not want to miss out. What I came to realize though is that I can’t be fully present for several things at the same time and that I needed to prioritize. At the end I was fine taking a 2 hour walk with a classmate and missing Mitt Romney speak – that classmate is going to turn into a lifelong friend and I am totally fine not having a picture with Mitt on my Facebook wall. If you have time before going off to school make a list with things that are important to you – don’t forget to include sleep, healthy food, exercise and so on. If business school helps you get into the habit of exercising daily then this is a great achievement. Not everything has to be career related. Accepted: What did you end up doing for your summer internship last year? Can you talk about the process by which you obtained your internship? How does it work at Stanford? Tim: I worked for McKinsey in London and went through very straightforward on-campus recruiting. A lot of classmates got their internship less formally through networking and knocking on doors of interesting companies. Stanford helps with that process through events (such as the “Fewer than 300 Employees Event”) targeting smaller companies that might not want to set up a booth right next to GE and BCG. I also did a one-month GMIX, a social impact immersion, working for a mushroom company in Kigali that was founded by a GSBer and that I had worked for before school already. The founder and I have become close friends and this January he offered me to join his board. He graduated twenty years ago and stayed at my house for his reunion this spring. It’s amazing how tight so many of the Stanford connections can get. Accepted: What’s next for you? Where will your MBA bring you? Tim: As I said, I will join McKinsey in their New York office this fall working mostly on airline and transportation topics. Eventually I will go back into the industry and hope to take on a leadership role someday. Aviation is not a traditional post-MBA industry, but given that there are no real low-cost airlines in Africa, that there are very few ultra-low-cost long haul carriers and that there is huge room for consolidation, I believe that industry dynamics will continue to shift. I want to be a part of that and feel that the out-of-the-box thinking at Stanford is a great asset for me to have when the time comes. On the side I will continue to engage in the for-profit social impact sphere in Africa and who knows? Maybe I will get bored in the developed world and take a big leap to work in an underdeveloped African country. I like to have options as I see that traditional picture of a ladder of success being antiquated. It is much rather a climbing wall of success. Instead of going up, going sideways might actually make more sense sometimes. Accepted: Are you still blogging? Tim: I am still blogging, but I have slowed down and it is on my to-do list to get back into it again. Everyone talks about the power of journaling at Stanford. It is nice to sometimes just reflect about a topic through writing about it. To read more about Tim’s journey, please check out his blog, From PA to the World. Thank you Tim for sharing your story with us and we wish you lots of luck! Last updated on July 21, 2015.